Cornwall is a county in the outermost southwest of Great Britain. It looks like a boot, a bit like Italy, and it is surrounded by the sea on three sides. In addition, it is separated almost completely from its only neighbouring county Devon by the river Tamar. The peninsula is known for rugged coastlines, picturesque fishing villages and beautiful gardens. But it is also known for myths and legends, and the best known starts here in Tintagel, the place where King Arthur supposedly was born. Cornwall is also one of the six Celtic Nations (the others being Wales, Scotland, Ireland, the Isle o Man and Brittany). 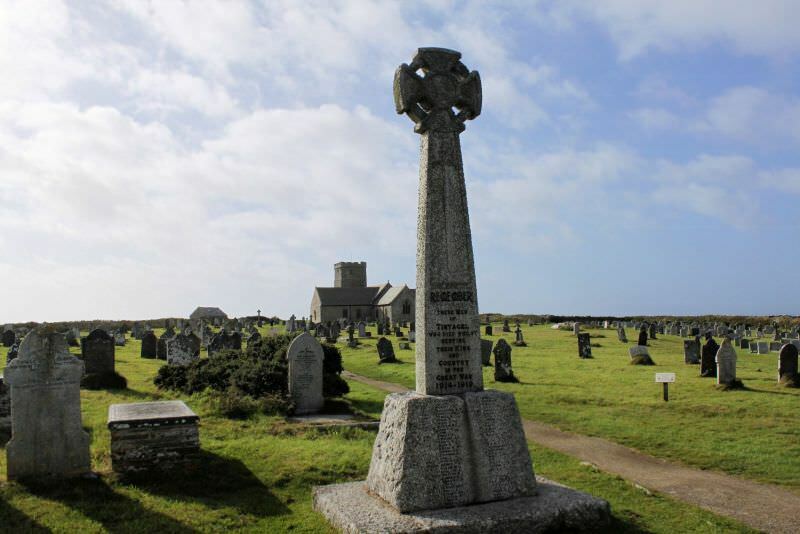 This is why you find lots of celtic crosses, like the one here on the war memorial in Tintagel. Cornwall has its own language, which is practically extinct, and many traditionalists would like to see Cornwall, like Wales and Scotland, as a semi-autonomous nation within the United Kingdom.